I am so happy with the way these turned out! I imagined them a certain way in my head but my ideas don’t always translate that well in reality so I was pleasantly surprised when these were even better than I had envisioned! Using the masking or painter’s tape, mark a cross on your paper. Open the plastic eggs and dip one half in paint. It is easiest to use the same colour egg as paint so that you can re-use without having to wash the paint off in between. Stamp the egg onto the paper. When the paint is dry, carefully revealing a cross underneath the tape. 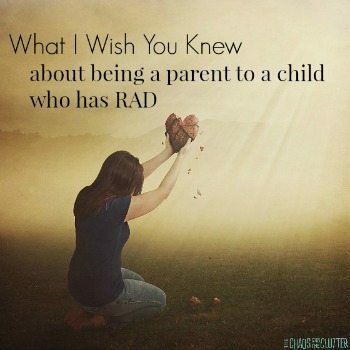 This is one of those sneaky activities where your kids are learning and not realizing it. It is a great colour matching activity as they can dip the same coloured egg into the paint colours. It’s also excellent fine motor practise using the rounded eggs. 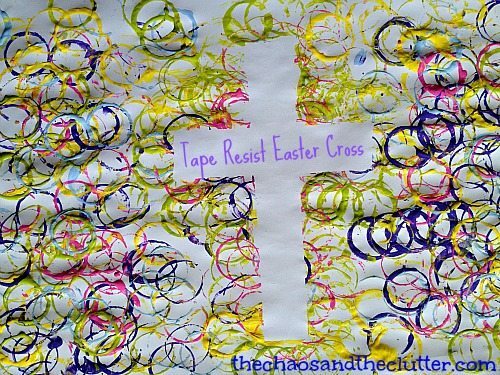 These pictures make beautiful decorations for Easter. My kids really enjoyed making these. Snuggle Puppy asked right away if we could hang them up for people to see at Easter time. We used medium sized plastic eggs for our art but you could easily use the large or small size or a combination of sizes to create different looks. 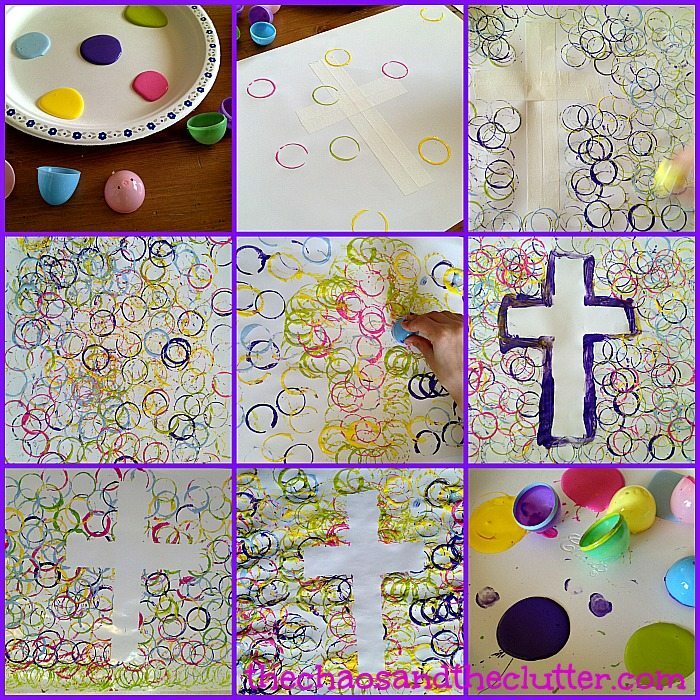 This Easter art activity would be great to do in a group such as in a Sunday school class or at an Easter celebration. 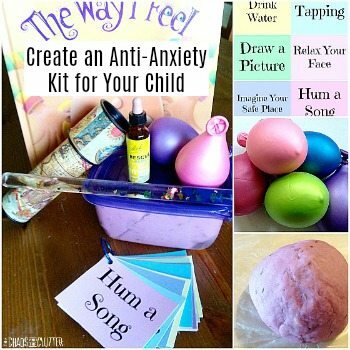 If you are looking for similar activities, you may want to follow my Christ-centered Easter board on Pinterest. 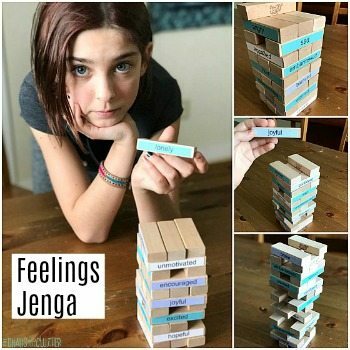 This looks like a fun project for kids to do, then send to their Compassion sponsored kids! That’s a great idea Yvonne! This looks simple and fun! I’m pinning it for sure! and maybe we’ll try it out tomorrow.